When you are moving or you lack space in your home or office, renting a storage unit is an obvious solution. In some cases, basic self-storage can be sufficient. However, there are many reasons to rent a climate controlled storage unit. Sometimes, it is just an extra measure of precaution. At other times, this upgrade is a must. In recent years, climate control has become a more common feature. In fact, most storage facilities have it. Climate control can be defined in different ways. It means temperature control, humidity control, or both. Extreme cold or heat, as well as drastic fluctuations, can severely damage your belongings in a non-climate controlled environment. For example, temperature changes may cause splitting, warping, and cracking. In many parts of the US, temperatures range from well-below-freezing to above 100°F. 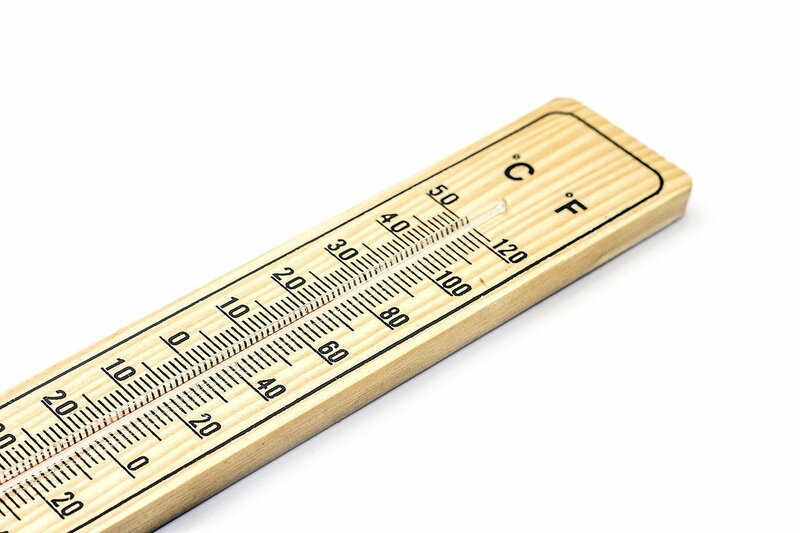 If your area often witnesses such extreme temperatures, you have good reasons to rent a climate controlled storage unit. Let’s focus on Florida for a moment. We all know how hot Orlando can be. The average high temperature in July and August is above 90°F. In Orlando, you should definitely consider a moving and storage Orlando company that provides climate control. In a climate controlled storage unit, the temperature is more constant, typically below 80 or 90 degrees and well above freezing. Humidity levels can change drastically with the change of seasons. This happens in many parts of the country. Due to natural fluctuations in outdoor humidity, a lot of materials can become damaged beyond repair. Non-climate controlled units that stay damp during the spring and fall season are a suitable environment for the growth of mildew. Moving supplies made of paper and cardboard won’t prevent moisture from reaching your goods in storage. Also, everything you store over a longer period in such conditions will have a bad smell. Simply cooling the air with air conditioning won’t be enough to reduce moisture levels. 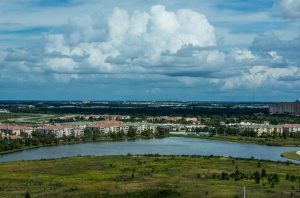 Orlando has a humid subtropical climate which gives its residents many reasons to rent a climate controlled storage unit. Another problem is the lack of humidity. For example, wood can dry out, craze, and splinter unless there is enough humidity in the air, which usually happens in the summer and winter. In addition, items like musical instruments, electronics, and wine can get damaged if the air is too dry. Humidity control is another useful feature storage units usually offer. Excess moisture is manually removed from the air in order to maintain the base humidity around 55%. So, be sure to ask the storage company if their storage facilities can provide humidity control. If you are storing during damp months and humidity control is something you cannot afford, at least try to open the door of the unit regularly to let some fresh air inside. This way, you will eliminate odors and built up humidity. Climate controlled storage units are less susceptible to minor flooding and dirt since they are typically located inside buildings with sealed and insulated walls, roofs, and floors. Dust and debris can easily find their way inside a unit that does not have this kind of protection. Moreover, rodents and insects are more likely to inhabit a traditional, non-climate controlled unit. Air quality is another factor you should take into consideration when weighing your storage options for Orlando. Remember that traditional units are not sealed like indoor climate controlled units. As the air constantly circulates in climate-controlled facilities, it remains clean. Hence, you do not have to open the door to allow some fresh air inside. Air quality is particularly important for storing documents and electronics. Without the circulation of air, all of your items will start to smell as if they’ve been kept in a basement. Is renting a climate controlled storage unit worth the extra cost? Climate controlled storage units are a bit more expensive than basic ones, but that is completely justified by the security they provide. The cost of renting climate controlled storage is between 20% and 50% higher than renting traditional storage. The extra cost of climate control is called “climate control premium”. It typically adds up to 35-50%. Renting a standard 10×10 unit with climate control may cost $140 a month. On the other hand, the same unit would cost $90 without climate control. If you can afford to pay a little extra for additional protection and peace of mind, go for it. Just make sure to get a price estimate and plan your budget carefully before making any rash financial decisions. 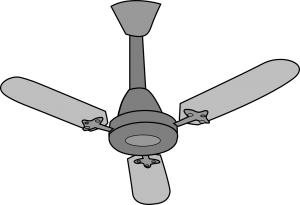 Which items require climate control? Household appliances: Without climate control, mold and mildew can build up inside appliances causing permanent damage. Cracking and rusting can be prevented by storing such items in a climate controlled unit. Electronics: Internal parts can rust and wiring can break due to accumulated moisture. The screens and internal parts of plasma TVs are particularly sensitive to extreme temperatures. Leather and wooden furniture: Leather furniture does not like drastic changes in hot and cold. Moisture can discolor it and cause mildew. 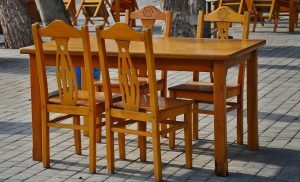 Wooden furniture can crack, warp, or rot due to moisture. Those are very good reasons to rent a climate controlled storage unit. When it comes to storing wooden furniture, the lower the humidity, the better. Clothing: You could be forced to say goodbye to your favorite pieces if mold and mildew make them unwearable. Artwork: Needless to say, artwork can be very sensitive to both humidity and extreme temperatures. The optimal temperature for storing artwork is 70-75°F and the humidity level should be 50%. Musical instruments: Humidity and extreme temperatures can ruin wooden, brass, and string instruments, as well as percussions. Wooden parts can shrink or expand, strings can become rusted and corroded, adhesives that hold the instruments together can melt, etc. Documents: Documents can fade, discolor, or dissolve when exposed to moisture. Photos: Prints can blend together and deteriorate in high temperatures if the photos are stacked on top of each other.